(Seattle) The effort to save a small community of killer whales from extinction took a significant step forward Friday when the Southern Resident Orca Task Force released its final recommendations to Washington Governor Jay Inslee. The report details potential options to address the major threats to Southern Residents, including prey availability, toxic contaminants and disturbance from noise and vessel traffic.The governor and staff will assess each recommendation for the most impact in the short and long-term. The governor will roll out his budget and policy priorities in mid-December for consideration during the 2019 Legislative Session. The report features 36 recommendations largely aimed at increasing the numbers of Chinook salmon for the orcas to eat, reducing noise from boats, and better protecting the orcas from pollution. 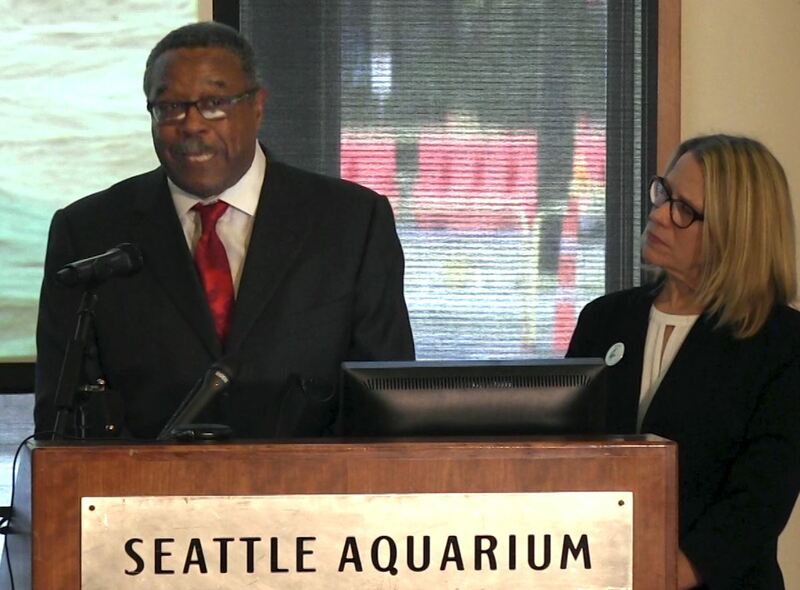 The Southern Resident Orca Task Force released its final recommendations during a news conference at the Seattle Aquarium. You can watch that entire news conference in the video below. On March 14, 2018, Governor Inslee signed Executive Order 18-02, Southern Resident Killer Whale Recovery and Task Force. In that order, Gov. Inslee asked the Department of Licensing to assist with outreach efforts supporting the recovery of the Southern Resident Orcas.